If you require the best finish a mower can provide whether in your garden or for bowling greens, cricket pitches, tennis courts or croquet lawns the Club is the best that money can buy. 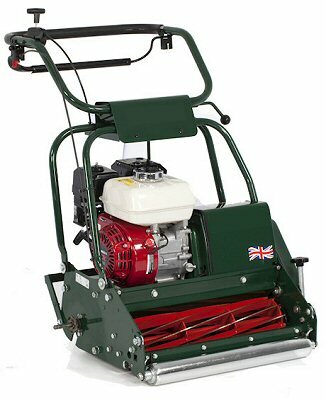 The Club 20R I/C Professional provides the ideal solution for bowling greens, tennis courts and cricket pitches. Being virtually hand-built by a small team of craftsmen, the quality of design, build and finish is unsurpassed, ensuring many years of trouble-free and efficient use. The 12-bladed cylinder can cut as low as 1.8mm (0.07") for an immaculate close finish. Atco is an absolute classic British lawnmower brand - if you wish to buy a cylinder mower, then Atco is the very best you can buy. These are the types of machines that will last generations if looked after properly, and there are many mowers bought in the 1950s and 60s that are still going strong. The Webb Pro20 Multi professional mower provides the ideal solution for bowling greens, tennis courts and cricket pitches. The mower is fitted with the Honda GX200 OHV Engine for increased product life. With a 12-bladed precision ground cylinder that cuts as low as 1.8mm with shaver blade fitted, the Club 20R I/C achieves up to 146 cuts per metre. With its large fuel tank and light aluminium grassbox, it has been designed to give a perfect finish to large areas of turf. 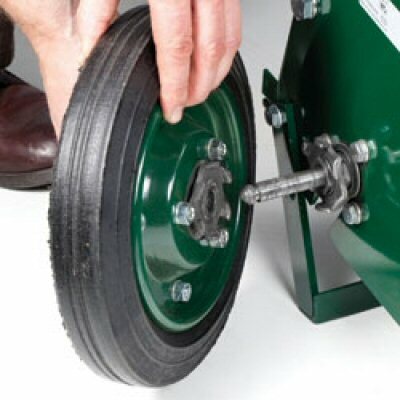 It has a micro-set height of cut adjustment and adjustable front and rear rollers for an immaculate finish. To safeguard the smooth integrity of the rear roller, transport side wheels are available as an optional accessory. 2 year guarantee on parts, engine and labour. The Pro20 Multi cylinder mower has always been favoured by the discerning gardener or groundsman requiring perfection in the finish of their lawns.